What happened to good ol’ New Year’s day? Isn’t that a good enough reason to stay at home in bed? This day is technically celebrating the separation of Czechoslovakia into the Czech Republic and Slovakia. Either way, you’re probably going to be nursing a wicked hangover so will be thankful of the holiday regardless of the reason. This is a new one! Czechs traditionally only got Easter Monday off, but as of 2016 they decided to join the rest of the Western world in getting a 4-day weekend for Easter. And after zero holidays in January, February or March (after Jan 1st, and depending when Easter falls, of course), it is certainly welcome after a long, cold and dark winter. Easter Monday, ya know, with the whole resurrection thing. Or, if you’re in the Czech Republic, also the time when boys braid long sticks together and tie them with festive ribbons to smack girls with. Who then in turn repay the boys by buying them eggs, candy and shots. Seems fair, eh. Not necessarily a uniquely Czech holiday, but it comes with a couple local traditions. The first comes the day before on April 30th where it is traditional to burn the witches that (theoretically) kept winter going for so long. This day is filled with witch-burning festivities where schools or communities will come together to burn dummies of witches. While it might actually be responsible for bringing on warmer weather, we’re guessing it’s just a good excuse for school kids to play dress up and for adults to throw awesome parties. May 1st is also (unofficially) known as the day of love and a celebration of the famous 19th-century Czech poet Karel Hynek Mácha who wrote the poem Máj. May, (for all you who couldn’t piece that together) is a tragic poem about two young lovers that all students learn about during their schooling. Couples will trek up Petrin hill in Prague to lay flowers on a monument of Mácha and kiss beneath the cherry blossom trees. Aww. Isn’t that romantic? Well, maybe the idea is, but in practice you just find a lot of couples making out in very close proximity, not quite hidden by the trees. The second of the ‘July holidays’ that celebrates 3 major religious names in Czech history is dedicated to Jan Hus. He was a significant religious reformer who was burned at the stake (yikes) in 1415 and this day commemorates his martyrdom. And also gives Czechs back to back holidays. As far as Czech history goes, when Wenceslas was alive he was he Duke of Bohemia, and generally beloved for his role in expanding the church and his attempts to make peace with Germany and unify Bohemia. Unfortunately his brother Boleslav didn’t feel this way (or was simply jealous, as it so often goes) and had him attacked and killed on this day in 935. Being a martyr, he received sainthood immediately becoming the patron saint of Bohemia and was even named King after his death by the Holy Roman Emperor, which is why we sing about ‘Good King Wenceslas’ in the popular Christmas carol. Uh huh, you read it right. This day celebrates the formation of a country that doesn’t even exist anymore. We can only imagine this is still a holiday because law-makers didn’t want to face the outrage they’d receive if they tried to take a public holiday away. On this day traditionally flowers will be placed on the grave of Tomáš Garrigue Masaryk, the first president of Czechoslovakia. Interestingly, this isn’t a holiday in Slovakia. Unlucky for them. This is my favourite day to say. And despite it being a mouthful, it has a very simple meaning behind it. 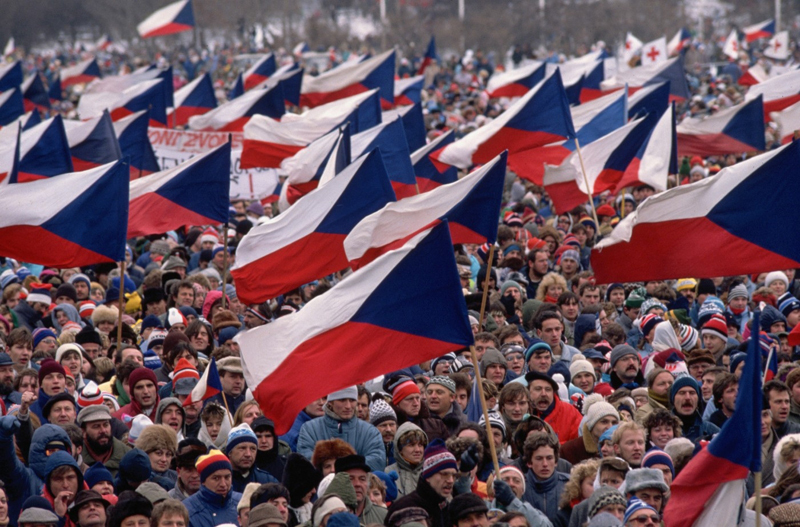 November 17th commemorates the political role of students during the demonstrations and protests in November 1939 during the Nazi occupation of Czech Republic, and again in November 1989 during the communist regime (also known as The Velvet Revolution). It is for this reason that it is often called World Student’s Day. This is typically when the feasting and gift-giving happens. Although here, it is a dinner of fried carp and potato salad that fills the bellies of little boys and girls before Ježíšek (baby Jesus) brings them presents. Remember Good King Wenceslas from October 28th? Well in the song he was at the feast of St Stephen, who gets his own day on December 26th. And the last public holiday of the year. At least January 1st isn’t too far off from here to start a whole new year of holidays.